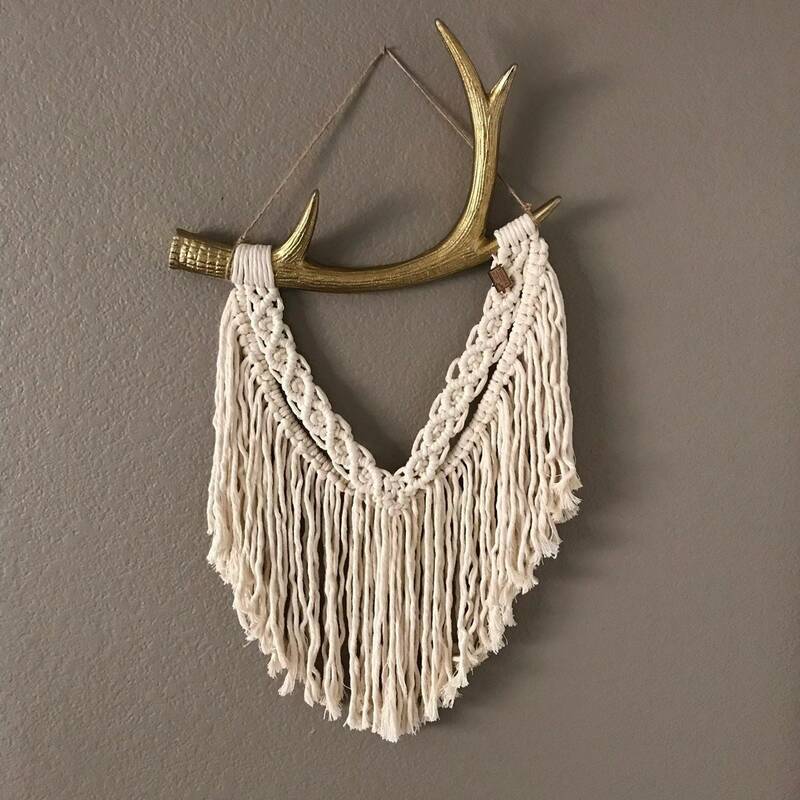 This handmade macrame wall hanging is made of 100% cotton rope. 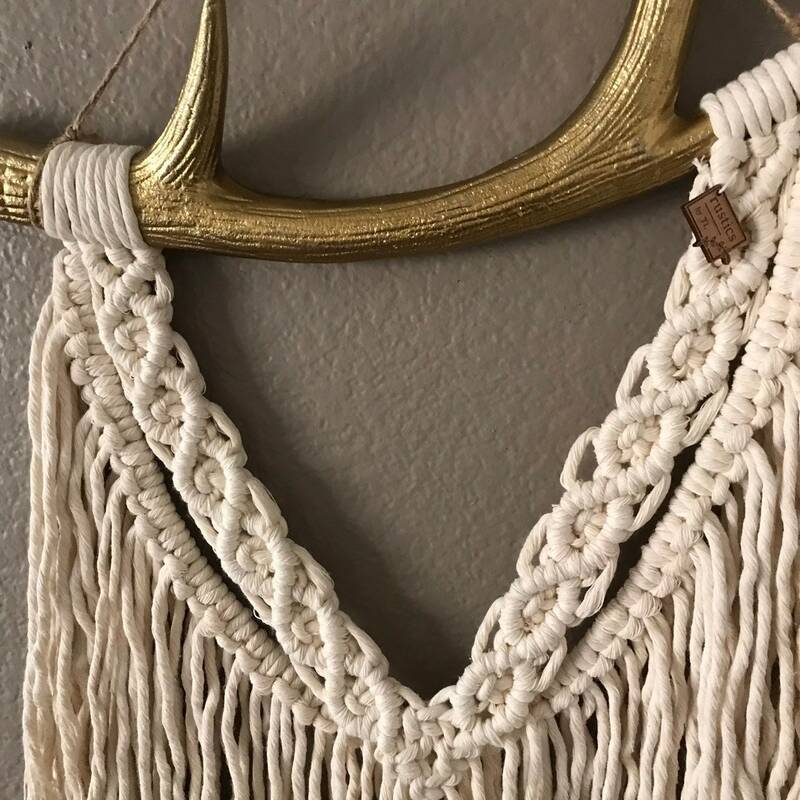 It is hung on a gold antler from Anthropologie. The antler measures 15 inches in width. Sorry, no international shipping at this time. United States only.